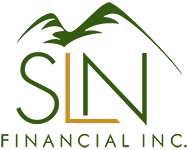 August 26, 2015 - 4 Financial Lessons For Teenagers | SLN Financial, Inc. Even if your teen doesn’t have a credit card, it’s vital that you teach him or her how credit cards and interest rates work. Understanding the true cost of debt can help him or her avoid taking on too many college loans or amassing loads of high-interest credit card debt. Whether your teen is working or still receiving an allowance, now is the time to make sure that your child understands how to create and stick to a budget. Developing a written spending plan can be very helpful in teaching your teen to be financially responsible. Help your teen practice budgeting skills by making him or her responsible for personal expenses and giving any allowances on a monthly basis. Above all - avoid the temptation to bail your teen out of trouble when he or she inevitably goes over budget. Let your teen live with mistakes while encouraging him or her to come to you for advice and support. As financial professionals, one of the lessons we repeat over and over to our younger clients is that the younger you start saving, the less you have to save to meet your long-term financial goals. Teach your teen how even small amounts of savings can grow tremendously over time due to the power of compound growth. Help your teen start a savings or investment account to put the lesson into practice. No matter what your income, forcing yourself to save money can be hard. However, saving a portion of your income doesn’t have to be difficult if you’re used to doing it automatically each month. Teach your teen to save for the future by having him or her automatically defer allowance or wages into a savings or investment account each month. Most high schools have removed personal finance education from the curriculum in favor of other subjects. Today’s teenagers may be among the least financially literate in generations. If you’re concerned about your child’s level of financial literacy, we can help. Contact our office for more information on raising financially savvy kids.